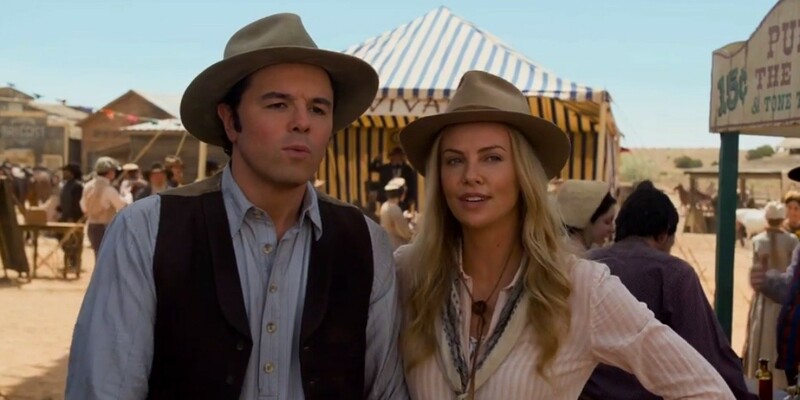 I come not to praise Seth MacFarlane, nor to bury him, but to consider his failure with a comedy-western alongside Damon Lindelof’s Cowboys & Aliens. I found A Million Ways to Die in the West to be oddly reminiscent of early Woody Allen films like Bananas; intermittently hilarious, but not really a film. But if Woody pre-Annie Hall was simply stitching together sketches without anything but the most broadly-drawn larger narrative purpose, then it seemed like the reverse was happening to MacFarlane – making ‘a Western, goddamnit!’ sucked the humour out of his comedy-western script. And so to a knotty point – there was a grindingly efficient story structure at work, but the central comic conceit of MacFarlane’s movie was unclear. 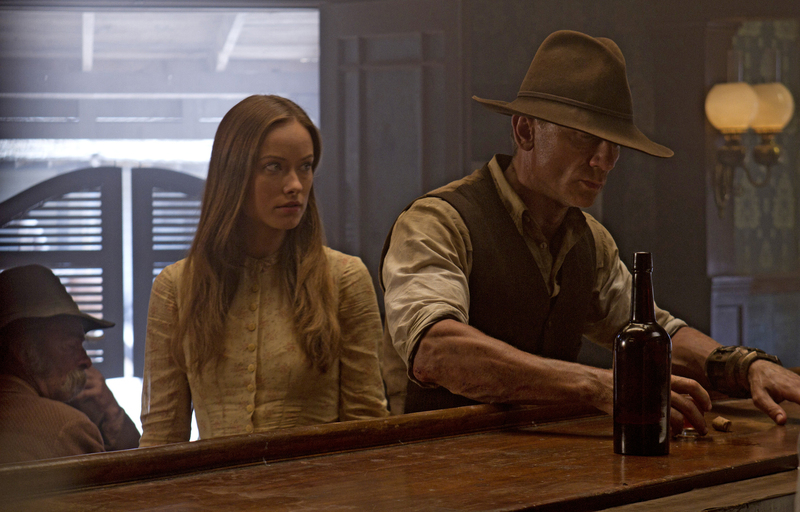 Critic Joe Griffin pitches the film as – “it’s a normal guy with 21st century sensibilities who lives in the violent frontier of the Old West and is dragged into a typical Western story.” This nails MacFarlane’s interactions with Amanda Seyfried, which come close to replicating the clinical psychoanalysis terms Woody uses with Louise Lasser in Bananas with an almost identical purpose – the comedy of language entirely inappropriate to the situation. But the first genuinely funny moment is MacFarlane’s later riff on the dead mayor, which literally comes out of nowhere. Along with the inevitably blood-soaked county fair, it suggests that the titular conceit of horrible deaths would’ve been a far better source of thematic comedy. Instead MacFarlane decides to mine comedy by working the most exhausted seams of the rom-com with Charlize Theron; even down to the obligatory big lie – she chose not to tell him she’s married to terrifying Liam Neeson. Only very occasionally (to wake the audience) does he sprinkles absurdist comic moments; and meanwhile he’s also trying to touch every Western generic base. In 1991 historian Arthur Schlesinger Jr took aim at America’s universities in his polemic The Disuniting of America. Schlesinger was extremely alarmed at the mass of evidence that political correctness had triumphed over sanity: “When a student sent a memorandum to the ‘diversity education committee’ at the University of Pennsylvania mentioning her ‘deep regard for the individual,’ a college administrator returned the paper with the word individual underlined: ‘This is a red flag phrase today, which is considered by many to be racist. Arguments that champion the individual over the group ultimately privileges (sic) the ‘individuals’ belonging to the largest or dominant group.’” (117) In his 1982 novel Before She Met Me Julian Barnes had a history professor baffled by the genuine horror and anger of a student whenever the wrong side triumphed in any given stand-off. Schlesinger Jr was damning of attacks on ‘Eurocentric’ American history, and it was essentially an appeasement of Barnes’ fictional student; by rewriting history. In one district where Native Americans had political clout it was taught that their tribal politics had influenced Thomas Jefferson every bit as much as European Enlightenment. It had not, as Schlesinger Jr flatly stated. And yet… In Sleepy Hollow, co-created by Cowboys & Aliens scribes Kurtzman and Orci, we find Ichabod Crane noting how in his 1770s existence Native American tribal politics had been a pivotal influence on Thomas Jefferson. A throwaway cute line; to anyone who hasn’t read Schlesinger Jr’s book. If you have, you’re stunned that this is not meant as a joke or provocatively revisionist statement; it is simply stated as true when it is not. The complete failure of Cowboys & Aliens didn’t stop the even more epic failure of The Lone Ranger following it down the trail two years later. The savage darkness of The Lone Ranger was completely unsuitable for a Disney blockbuster supposedly aimed at kids, but it fitted perfectly the template of the Western produced by people Schlesinger couldn’t save. 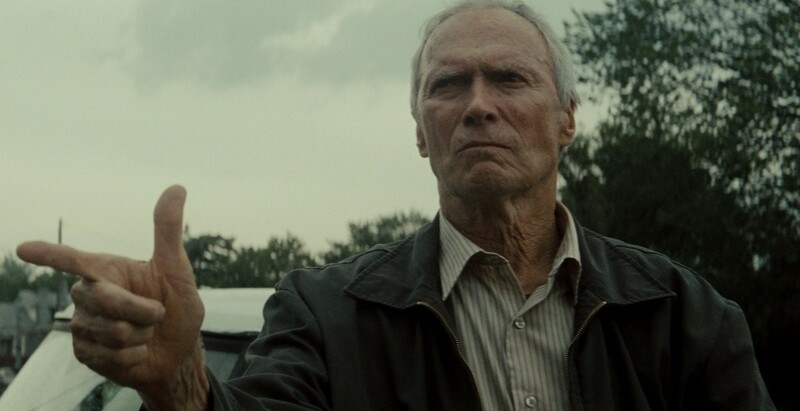 It’s admirable to insert a Sergio Leone tone into a Western romp for children, only if you also take that bloody-minded approach to your contemporary blockbusters and give us Transformers directed by Ken Loach as the working poor fighting against transforming robots who’re the highest form of capitalism. Really I think the idea of the Western as conceived by the children of 1973 is fundamentally incompatible with exuberance. In the 1970s radical directors like Robert Altman, Arthur Penn, Walter Hill and Michael Cimino couldn’t wait to make a Western. But the revisionist Western wasn’t what audiences wanted. Nicholas Jarecki on the Bret Easton Ellis podcast recently made some interesting points about ‘genre exhaustion’, when an audience has seen every possible permutation arising out of a generic set-up. I don’t believe that’s what happened to the Western in the 1970s. I follow Stephen King in believing that George Lucas took the ‘pioneer spirit’ of the Western and simply, in a belated emulation of JFK’s call for a New Frontier, relocated it in space. And, as Spielberg’s Western framing at the end of The Last Crusade transparently indicates, crying for the death of the Western is like bemoaning the death of the dinosaurs while looking at flying birds: dinosaurs aren’t dead, they evolved. 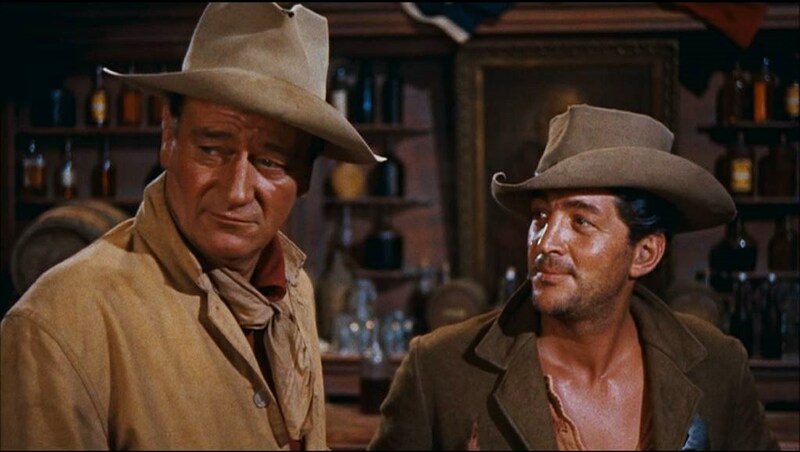 If the blockbuster is the repository of the spirit of exuberant fun that lights up Rio Bravo, what does that make the contemporary Western? Well, it’s tempting to twist Lindelof’s words and say merely the outward trappings of the genre, stripped of its soul. Since Heaven’s Gate we’ve had serious Westerns like Dances with Wolves, Open Range, Wyatt Earp, Unforgiven, Tombstone, The Assassination of Jesses James by the Coward Robert Ford, 3:10 to Yuma, and Seraphim Falls. We’ve had comedy mash-up disasters like Wild Wild West, Cowboys & Aliens and The Lone Ranger. And we’ve had nothing like a Rio Bravo… It’s admirable to try and cinematically reinstate the reality of the shameful treatment of the Native Americans in the Old West. But this admirable endeavour may run up against a problem if it’s part of a wider refusal to accept the Western genre for what it was and to believe that it can simply be rewritten to make it what it ought to have been. Such a massive undertaking may be more than the genre can accommodate, in one important respect – it can make for a good film, a good Western, but not a fun film. A Million Ways is not a fun film, even though it’s meant to be a comedy. And I think it’s because MacFarlane tried to hit every base; Native Americans as allies, the brutality and lawlessness of the West, rewriting the role of women (with particular emphasis on the brothels), the exploitation of Chinese labour; because he is one of that generation that can’t see a Western without giving a lecture on its propagandising. A Golden Globe nominated Richard Gere plays a high-flying Wall Street magnate juggling crises financial, emotional, and ominously legal in screenwriter Nicholas Jarecki’s feature debut. Robert Miller (Gere) is the CEO and founder of investment firm Miller Capital. He’s about to sell his company to the fabulously wealthy James Mayfield (Graydon Carter), but needs the deal to happen urgently before the $400 million hole in his accounts, hidden by his pliable auditor, is discovered. His personal life, juggling his wife Ellen (Susan Sarandon) and his mistress Julie (Laetitia Casta), is stressful enough. But between trying to stave off his wife’s suspicions, visit his mistress’s new art exhibition to avoid her hysteria, and finagle the forensic accountants, Miller finds himself asleep at the wheel, literally. He enlists the help of an old lieutenant’s son, Jimmy (Nate Parker), to cover up his deadly accident, but it seems certain either his daughter/business partner Brooke (Britt Marling) or embittered NYPD homicide detective Bryer (Tim Roth) will unravel Miller’s lies. Richard Gere is a puzzling actor. He’s occasionally self-satisfied but can generate audience sympathy out of thin air in films like Red Corner and The Jackal, but, as the necessity of doing so in films like those indicates, he just can’t seem to recognise good scripts. Gere does have some barnstorming rants here, and he’s brilliant at saying abrasive things and then instantly apologising; as if the stress Miller is under causes his social filters to malfunction. But Gere alone cannot carry a film dripping cliché. His mistress Julie is the most irritating, high-maintenance, art gallery owning French stereotype imaginable. It is simply impossible to care about her, when you want to slap Miller for carrying on with her given how great his privileged life is. And this is the script’s fault as Casta excelled as Bardot in 2010’s Gainsbourg. The slowly tightening legal vice around Jimmy as he tries to stonewall his way out of admitting any involvement with Miller’s situation is compelling, but not nearly as tense as that in Side Effects. Jarecki also nicely heightens the suspense of Miller trying to meet the elusive Mr Mayfield to settle the buyout of his firm in person like men. But this film doesn’t really shed a light on high finance like Margin Call (or even Wall Street 2’s central speech) did. There’s nothing wrong with melodrama, Dickens and Ibsen are melodramatic; what’s unforgivable is turgid melodrama. And, when Sarandon finally comes into her own near the end, her grandstanding reveals that, for all Marling’s gameness in showing how Brooke’s suspicions of her father’s honesty cause her to unravel, this is melodrama about a tycoon masquerading as biting social commentary. 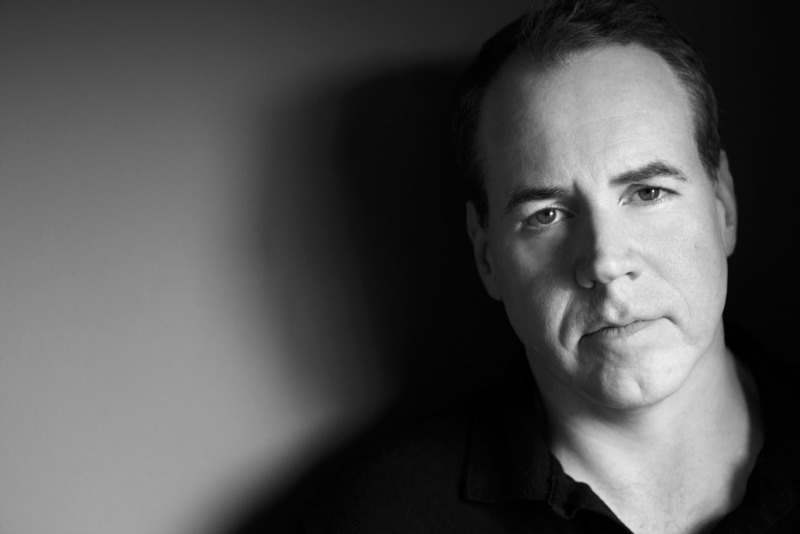 Jarecki was dropped from directing his 2008 adaptation of Bret Easton Ellis’ The Informers. This proves his competence directing, but his script offers many individual gems without overall impact.